We haven’t really gotten into the whole Easter thing. Our little one isn’t begging for candy-filled baskets or mentioned the Easter bunny yet, so we’re kind of going with it. But I did have a bit of inspiration for an egg-ish art activity using my daughter’s new favorite thing — lemons. After making those tuna cakes, she’s been begging for slices of lemon to nibble on. 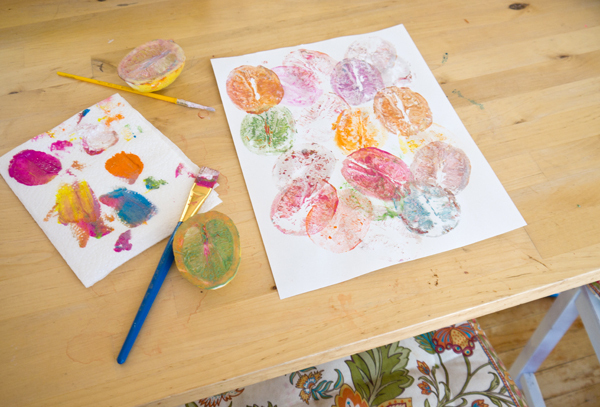 This is a simple project that introduces kids to pastels and ovals while creating lemon egg shapes, perfect for decorating during the Easter season. 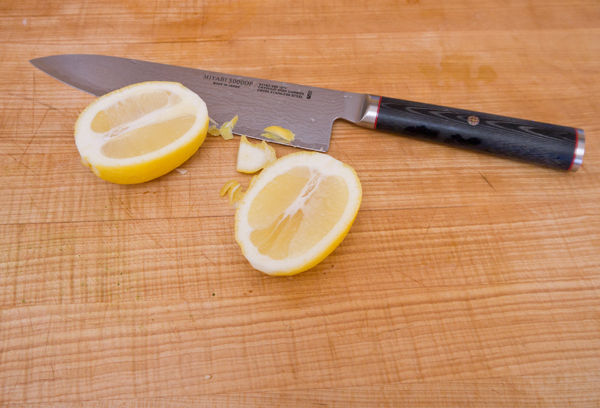 Instead of cutting the lemon in half through the middle, cut lengthwise and then trim to create an oval shape. Now your child can press the lemon egg on her paper and see what it looks like. 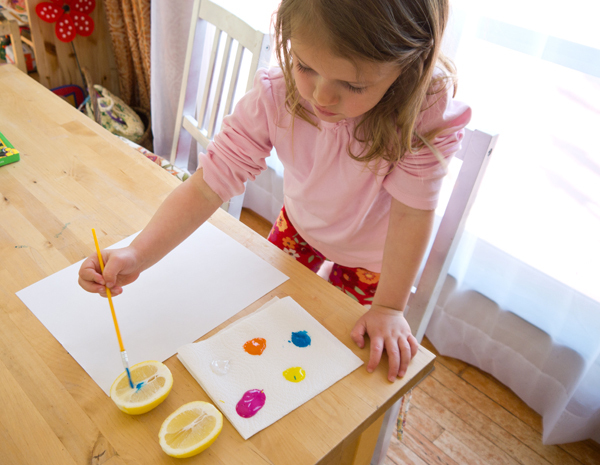 For the next coat, encourage your child to paint or press the lemon with white paint to see how it changes its color. 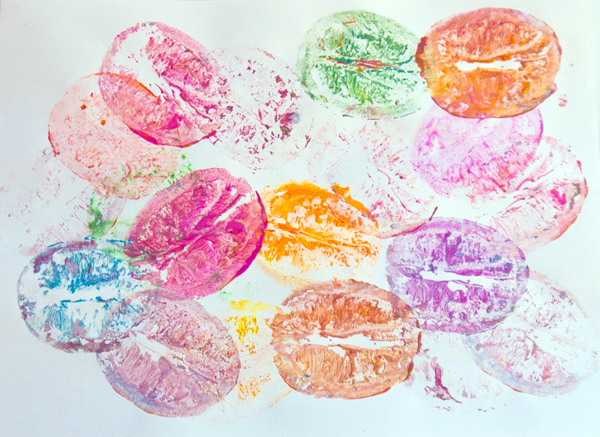 Keep painting and printing until you’ve got a paper full of pastel colored egg shapes. 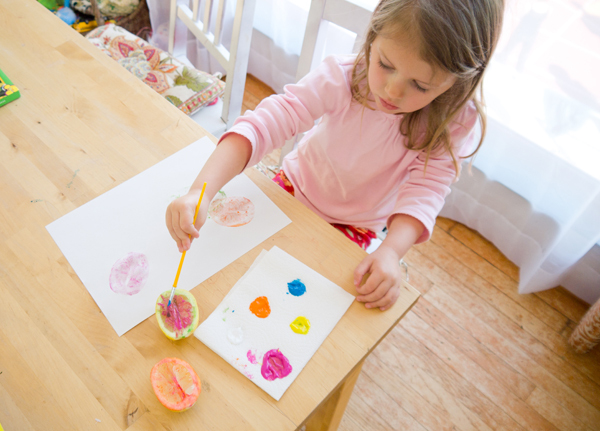 Once dry, find the perfect spot to display the finished creation. And we couldn’t resist a few slices of fresh (unpainted) lemon slices once we were all done with our artwork.